According to the World Health Organization roughly 50% of the global population is affected by headaches and headache type disorders. Among these individuals 30% of them reported migraines. Headaches that occur 15 days or more in duration per month affect 1.7-4% of the world’s adult population. Headaches and headache disorders are a global problem affecting all races, genders, and income levels. It is estimated that the US alone spends $17 billion a year for migraine treatment (1,2). This is spent on medications, clinical care, emergency visits, hospitalizations, physician services and diagnostic testing. Indirect costs result with lost productivity in the workplace amounting to $14.5 billion for employers. Its clear to see that headaches and headache disorders are a detriment to public health, resulting in large healthcare costs and lost productivity. Looking at these statistics you can see that headaches are very common. Just because something is so common does not mean that it’s normal. It may be common to get mugged in New York City but it isn’t normal. Often times people who have headaches just learn to live with them. They may do this with the use of prescriptions or over the counter medications. It the effort to find answers for headache sufferers, researchers are looking outside the head. I’m not talking about headache triggers, for example, someone with strong perfume walks into the room and the smell sets off a headache. What I’m talking about are the neck and anatomical structures around the outside of the head. The brain does not feel pain. 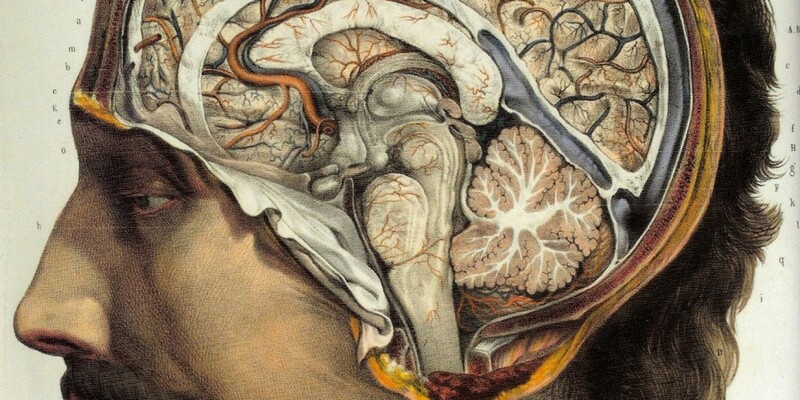 The structures around the brain and skull do feel pain. Its well known that the brain has no pain receptors. The meninges (outer layer of the brain), the periosteum (outer layer of the skull), blood vessels in the scalp and muscles of the head and neck do have pain receptors. A headache occurs when there are mixed signals between the brain, blood vessels and nearby nerves. The nerves of these blood vessels and head and neck muscles turn on and send pain signals to the brain. Most of these nerves originate from the upper neck area called the sub occipital nerves. 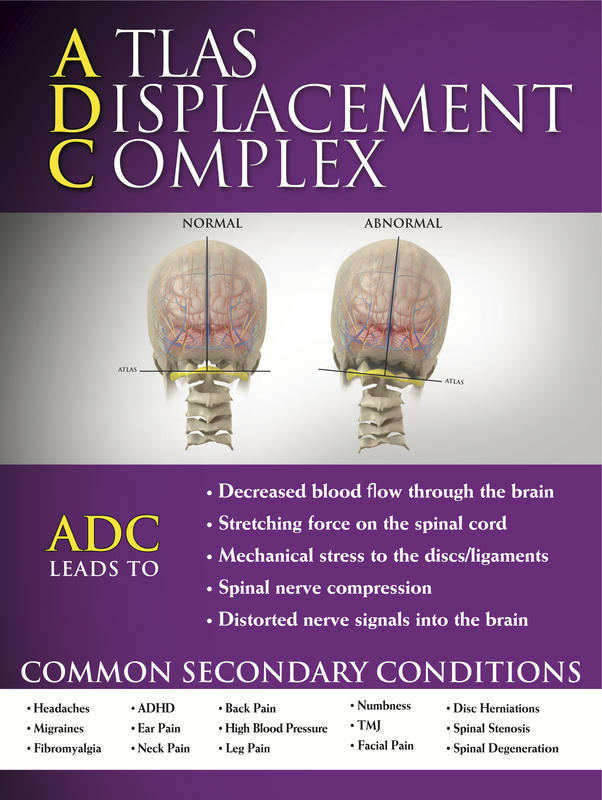 When the suboccipital nerves are compressed or obstructed it can cause the blood vessels to swell with blood. This increased blood flow will cause an increased sensation of pressure in the head, which then stimulates the pain receptors in the meninges, periosteum and scalp thus creating the pain of a headache. It’s a cascade effect where one thing leads to another. 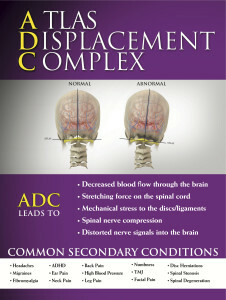 The most common form of obstruction is the Atlas Displacement Complex. The Atlas is the top bone in the neck surrounded by the sub occipital muscles and nerves. This bone is the foundation or framework that these muscles and nerves connect to. When this area of the spine is displaced or kinked out of its normal position like the picture to the right, then it will obstruct the muscles and nerves, which cause headaches. Don’t get me wrong there are a number of different things that trigger headaches; low blood sugar, dehydration, strong smells and even tumors. It would seem to reason that exploring common causes among many different types of headaches would be the best approach to treating them. This is where the structural alignment of the neck comes into play. If a person’s head and neck are off then they may be more susceptible to headaches. This could be the one missing link that suffering patients are looking for in the search for answers and relief.